Our greatest asset is our staff, and we are keen to celebrate our team members who go the extra mile. Our first employees of the month are Tracey Higginbotham from the housekeeping team and chef Sue Stone. 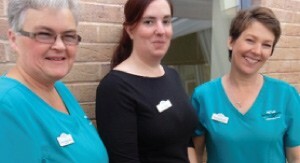 Both ladies demonstrate a dedicated, adaptable approach to their roles and are always willing to offer extra support. Congratulations to Tracey and Sue who each receive a £20 reward.